A woman came into The Salvation Army Community Life Centre recently and said she had nothing left in her fridge or cupboards to feed her family. 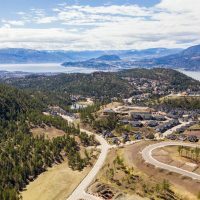 “Unfortunately, our appointments were completely booked, so we had no way to provide a casework appointment at that point,” says Darryl Burry, the Lead Pastor and Executive Director at the Central Okanagan Salvation Army. “We always provide people with something. They never leave our offices empty-handed. Sally’s Pantry, which opened Jan. 28, is a free, drop-in, perishable-food market for all community members. The Salvation Army receives the goods from local grocery stores through a company called Food Mesh, which reclaims food that is still suitable for consumption but can’t be displayed in grocery stores. Prior to this partnership, these food items were destined for the landfill. The issue of wasted food from grocery stores has become contentious in recent years, and now organizations like The Salvation Army are fixing two problems at once. “We’ve been working towards developing something along this line for years, and then along comes an organization called Food Mesh,” Burry says. 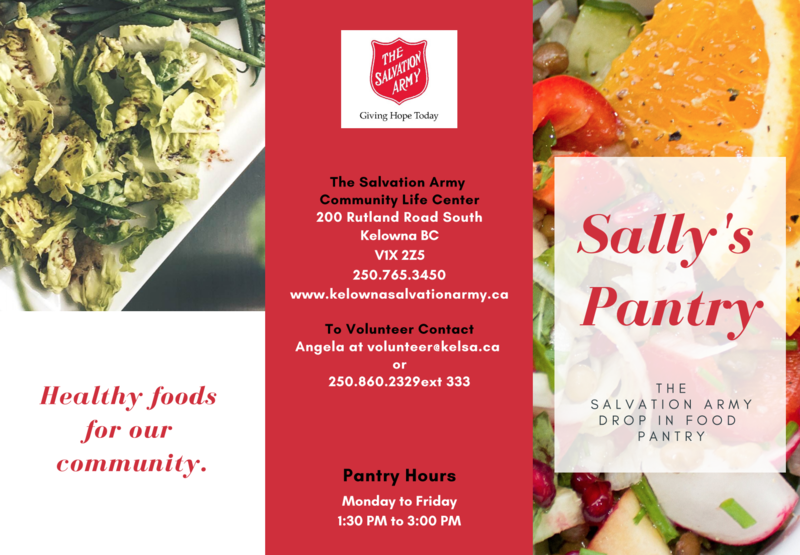 Sally’s Pantry is open from 1:30 to 3 p.m. Monday through Friday at The Salvation Army Community Life Centre, which is located at 200 Rutland Rd. South. On its first day of operation, Sally’s Pantry received 22 totes that contained 629 pounds of food. Roughly 140 pounds was redirected to local farmers for livestock. Another 30 pounds was composted. The remainder was given to 15 visitors at Sally’s Pantry. To make this new operation run smoothly, the Salvation Army needs volunteers to either pick up the food, process (or “glean”) it or assist guests as they choose their items.